(Lanka e News -22.Aug.2018, 11.45PM) The media unit of speaker Karu Jaysuriya had issued an official communique pertaining to the statement made to the CID in connection with the abduction and cruel torture inflicted on former deputy editor Keith Noyahr of Nation newspaper during the cruel nefarious decade of Rajapakses , and subsequently released on the pressures exerted by a ‘Sir’. The full text of the communique is appended …. 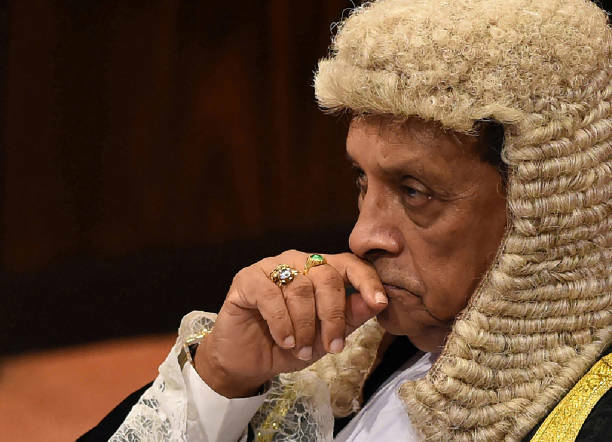 ‘As various media have requested a statement from the speaker Karu Jaysuriya in connection with the investigation which is currently being conducted into the abduction and torture of journalist Keith Noyahr , the attention of the speaker has been drawn to it. While recording statements of newspaper editors and journalists , the Police informed courts that simultaneously a statement has to be recorded of the speaker . Based on the notification to court and with its consent a statement of the speaker lasting about 4 hours was recorded by the Police. As a duty of a law abiding citizen , the speaker furnished all the information and data clearly to the police. However , there was no suggestion or pressure from any quarters as regards this statement or how it should be made . It was only a response to a request legally made by the police to courts. At the same time this statement is not made with any malice towards any party and as a duty of a law abiding citizen with a view to uphold the law and justice , as well as to render assistance in that direction . Media unit of Speaker of Parliament.